The Premium TV Wall Mount Installation is the ideal LCD, Plasma, or LED installation package for clients that desire a clean design with in-wall wire concealment. We’ll provide you with up to 30 minutes of training on your new LCD, LED, or Plasma installation system. One-year warranty on our TV Wall Mount installation services. We'll dispatch our fully certified and insured installation team to your location. Installation Professional will perform a pre-installation survey of the site. Installation of wall mount bracket. 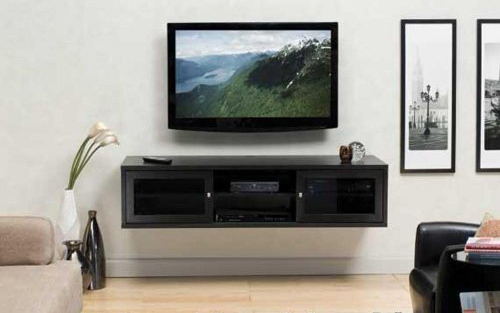 Installation of flat screen LCD, flat panel Plasma, or flat panel LED on mounting bracket. In-wall wire concealment requires an electrical outlet to be installed at the TV. If you do not have an electrical outlet, we can provide and install a Power Relocation Kit for an additional $145 at the time of installation. Otherwise, an electrician will need to install an outlet prior to our service being performed. Install all video components, including connecting to your cable box, DVD, VCR, Surround Sound and game unit. Wire Concealment—install all component wires inside the wall up to 15′ to give you the “wire free-look”. Program as much as two non-learning remote controls. This installation package provides you with the clean, wire-free look your TV installation deserves.